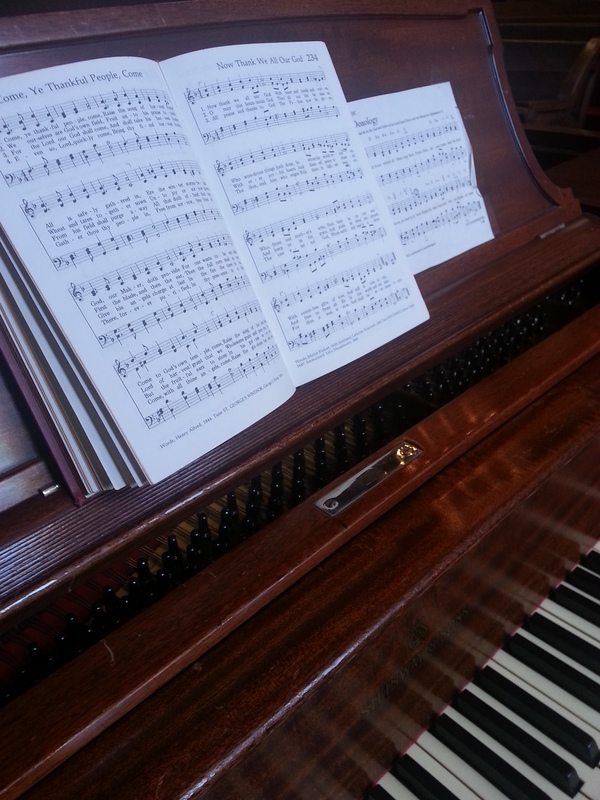 Last Sunday we had an old-fashioned hymn sing at our church. For several weeks our members noted their favorite hymns, and our choir director collected and organized their requests. Last Sunday we sang the top 10 favorites, and we’ll sing the others during the future services. After reading that short verse, I shared six types of new songs God has put in our mouths. My point was that the new song God has given us reflects who we are as God’s people in all the circumstances of life. This new song is a song of praise. This is what the psalmist says his new song is. No longer are we confused about who deserves our praise because the God of all creation is the only rightful object of our praise and worship. Charles Wesley penned the iconic hymn of praise when he wrote, “O for a thousand tongues to sing my great Redeemer’s praise, the glories of my God and King, the triumphs of his grace.” But the new song is not only a song of praise. This new song is a song of unity. When we gather on Sundays for worship, we sing together, lifting our voices as one people because we are part of a community of faith. Unlike the exiles in Babylon, who asked “how can we sing the songs of Zion in a strange land” we are no longer strangers, we belong to the family of God, the community of faith, and our song is a song of unity. “We Are Called To Be God’s People” reflects not only our individual relationship to God, but our corporate, communal relationship as well. This new song is a song of justice. We sing as celebration that one day God’s justice will prevail. In 2007, our church was asked to host the Martin Luther King Day service for our town. We were hosting the newly-formed Boys and Girls Club of Chatham in our church, which was the first racially-integrated afterschool program in our county. Both white and black worshippers filled our sanctuary on MLK Day for worship. At the end of that service, we joined hands and sang, “We shall overcome.” For the first time in Chatham, that song became, not just the song of the black community, but the song of justice for our entire community. Justice must be a part of our new repertoire of song because justice means that God’s will is being done on earth as it is in heaven. This new song is a song of thanksgiving. Gratitude for God’s blessings, for God’s grace, and for God’s mercy should be part of our spiritual songbook. At Thanksgiving we sing, “We Gather Together” and “Come, Ye Thankful People Come” but thanks to God for God’s blessings should be sung more often than once a year. This new song is a song of lament. The problem with what is now called “praise and worship” featuring rock bands and full-stage lighting is that it leaves no room for sadness and sorrow. The psalmists wrote songs of lament, sang them with heartfelt emotion, and offered them as prayers for God’s mercy and grace. We need to lament as we stand in God’s presence, even in the 21st century. Perhaps especially in the 21st century. Lent provides a time of solemn reflection and self-examination. “O Sacred Head Now Wounded” reminds us of Christ’s sacrificial death. “Were You There When They Crucified My Lord?” asks in plain but mournful language for us to remember the death, burial and resurrection of Jesus. We need to go to “dark Gethsemane” at times as prelude to the joy of Easter. This new song is a song of confidence. Christians hymns have always described our faith and hope in God’s presence now and in the future. “We’re Marching to Zion” asserts our faith that our lives have meaning and purpose, that we are on a journey whose destination is God. Songs that reflect the confidence we have in God’s love and God’s plan form the foundation for all the other songs in our Christian hymnody. Simply put, we sing because we believe. From the earliest psalms to the most contemporary musical expression, we Christians have sung our faith boldly and with great confidence. The new song God has put in our mouths isn’t just one tune, with one theme, for all time. The new song God gives us reflects God’s presence in our lives at all times, in all places, and for all people. Sunday when you sing, think about what type of song you’re singing. Then connect that song to the work of God in your life and in the life of your congregation. Excellent, Chuck. (You knew I’d like this!) Thanks for sharing! Thanks! Hope you guys are well.